Springfield, Missouri is located in the southwest region of the state, nestled in the center of Greene County. The third largest city in Missouri, Springfield is a growing metropolitan area with a slow but steady rise in population year after year. With plenty of restaurants, attractions, and a community that continues to grow and diversify — as well as a cost of living that’s one of the lowest in the country — Springfield is an amazing location to buy a house. Find out more of what the Springfield area has to offer below. Since its founding in the 1830s, Springfield has been an ever-growing area, attracting people from all across the country without losing the charm of a smaller town. A college town, Springfield is home to three universities — Missouri State University, Drury University, and Evangel University — as well as several colleges and trade schools. Spectacular secondary education paired with the excellent elementary, junior high, and high schools found throughout the city makes Springfield a great place to buy a house for your family, especially if you plan to stay in the area for a while. 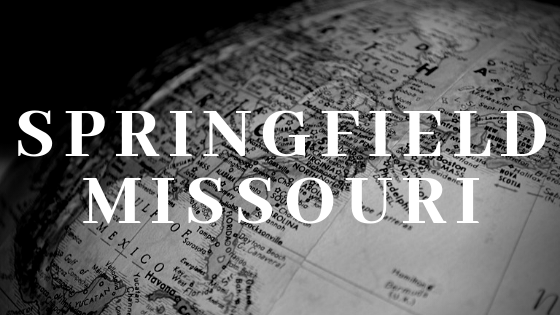 Whether you are looking to buy a house for the first time or are looking for a place for your growing family, Springfield has quite the selection to choose from. The city has an eclectic mix of historic neighborhoods, gated communities, and classic subdivisions of all shapes and sizes — so no matter what your housing needs are, The Dan Holt Team can help you find your dream home! Besides excellent education, affordable cost of living, and housing options for families both big and small, Springfield has plenty more to offer for those looking to buy a house! The recently updated downtown areas of Park Central Square and C-Street have a continually growing selection of restaurants, bars, and experiences that are perfect for a night out with friends and coworkers. There are plenty of daytime activities too! Springfield is home to several beautiful parks, as well as the Springfield Conservation Nature Center where you can hike trails and learn more about the animals and plants that are native to the area. In the summer, you can splash around at one of Springfield’s pools and take in a Springfield Cardinals game at Hammons Field, then cool off with a delicious Pineapple Whip or Andy’s Frozen Custard. Plus, if you want a quick little getaway, Branson is a short drive down Highway 65! If you are ready to buy a house in Springfield, The Dan Holt Team is ready to help! We are experts in the area and will work tirelessly to find you the house of your dreams. See what houses are available below and contact our office at 417.447.2783. Click here to view homes available in Springfield.